The 2003 anime Last Exile is a textbook definition of the phrase “eye candy”. Although there isn’t really anything offensive about the story and characters, they are not very memorable either. The visuals elements, on the other hand, set the series far apart from the rest. 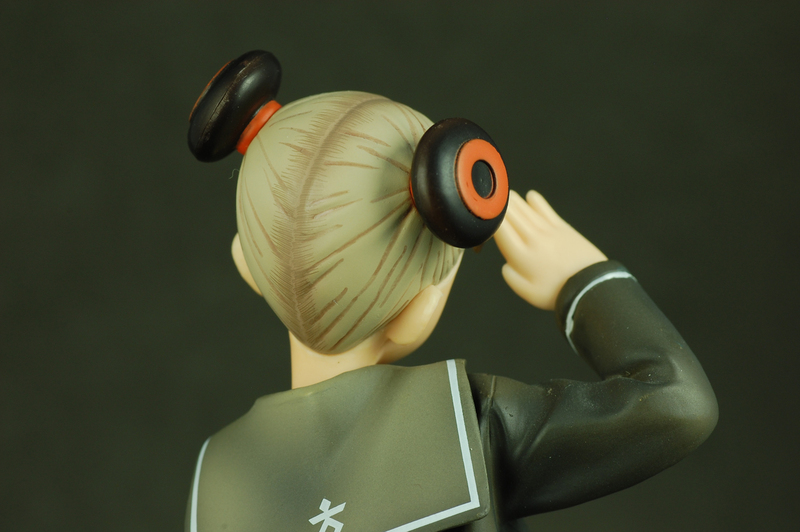 Last Exile features fantastic mechanical and character designs conceived by famed illustrator Range Murata. Not only are the steampunk airships breathtaking to behold, but the character designs are every bit as pleasing as their mechanical counterparts. The outfits the characters wear are highly stylized, yet they do not look over-the-top ridiculous. Rather, they feel more like augmented and improved versions of reality. Hell, if navy uniforms looked that good in real life, I probably would have enlisted a long time ago. 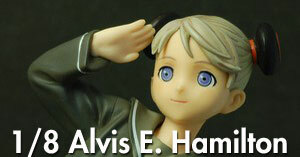 If I recall correctly, I decided to pick up this figure of Alvis E. Hamilton by Alter before I even finished the series. Back then I was still fresh with enthusiasm for figures and was eager to increase the headcount of my collection, and a cheap figure of around 26 bucks proved to be appealing enough to warrant an impulse buy. Thankfully, Alvis was not the kind of purchase that I would come to regret later. 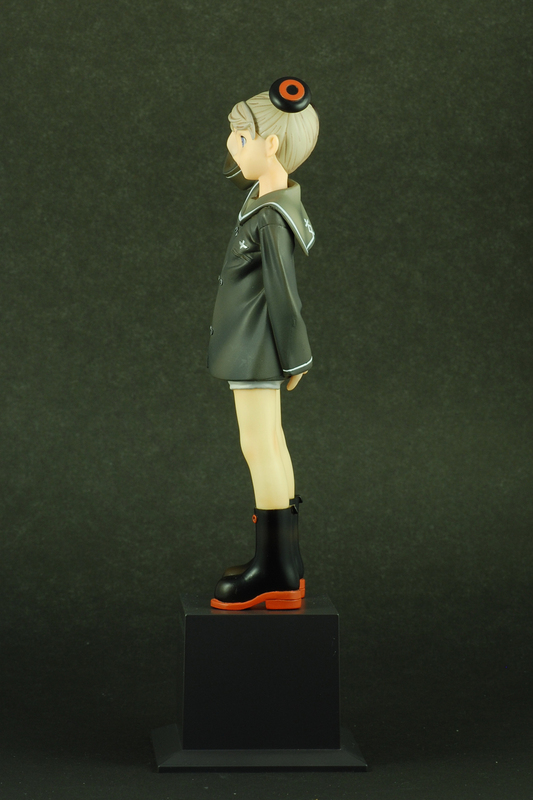 I wanted something to remember Last Exile by, and this figure serves that purpose very well without breaking the bank. 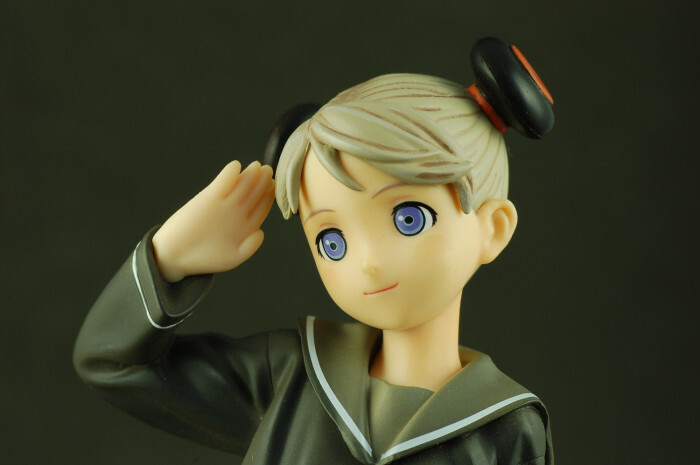 If you can find it around the original retail price of 3619 yen, you will find Alvis to be a decent little figure for her price. 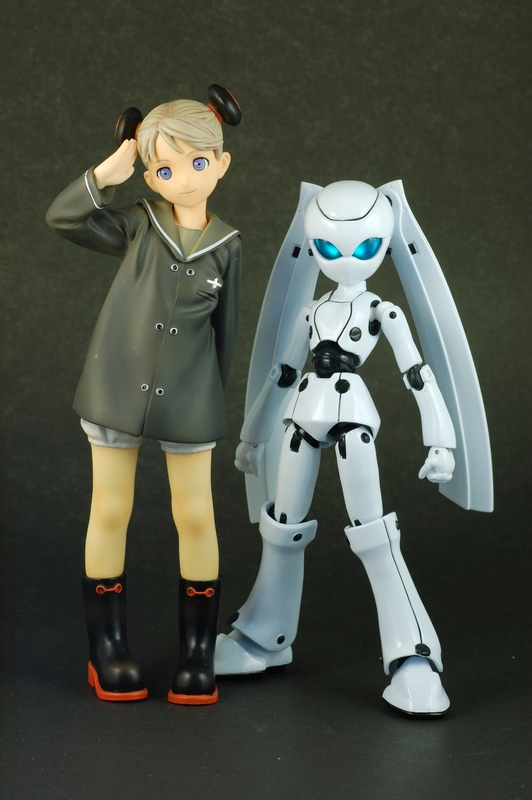 If not, don’t fret – this figure is much like the non-visual elements of the source anime – decent, but nothing spectacular. Alvis is small – very small. So small that Alter thought it would be prudent to include a really elevated display base. She measures 20 cm (8 inches) tall with the base and 15 cm (6 inches) without. Despite the obvious fact that she’s a very young character, her diminutive stature still surprised me when she arrived in the mail. Thankfully, Alvis is in an upright standing pose that mitigates the problem of her tiny size somewhat. 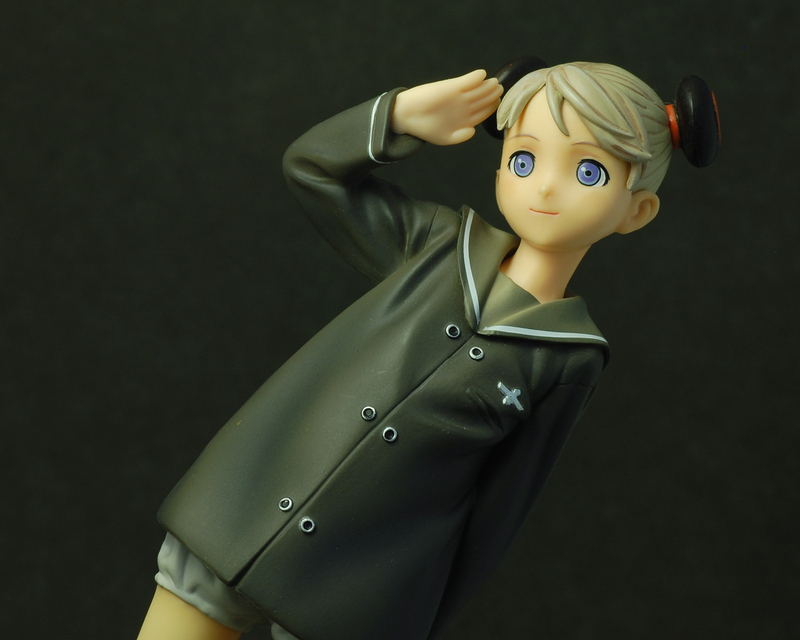 Her military salute and childish mannerisms such as her pigeon-toed feet and tilted neck contrast each other in an adorable way. Believe it or not, Alvis has a full head of hair, but in this rendition of the character her hair is tucked away in those mysterious hair buns. She sports the dark sailor shirt of the crew of the Silvana over her bubble shorts, as well as a pair of very spiffy black boot with orange soles. 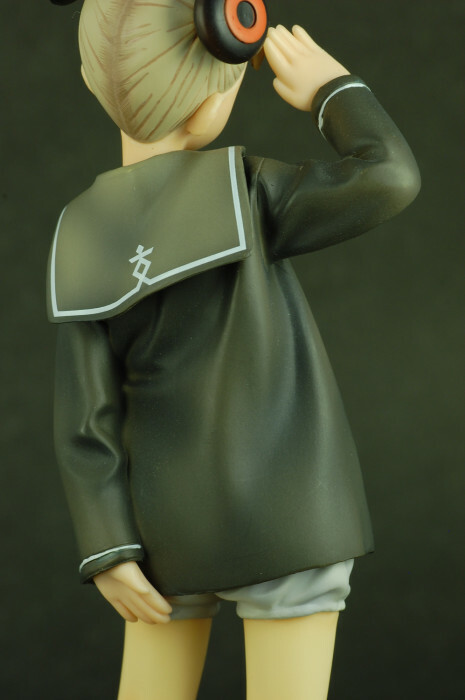 I am fairly certain that most of reason why I bought this figure was the dark sailor shirt. It probably wouldn’t work very well in real life due to the colour’s tendency to trap heat, but that doesn’t prevent it from looking any less awesome. A lot of effort went into adding depth to Alvis’ tightly bound hair. Alter took the pains to add brown lines to achieve this effect. Some of these lines look a little clumsy and messy in the front if you look up close, but the overall effect is a positive one. The hair parting that runs along the middle of her head is emphasized with what seems like thin printed lines that runs along the edges. The actual sculpt of the hair is below average by today’s standards as it lacks the sharpness and cleanness that is usually associated with Alter’s standards. 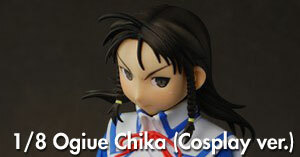 The Face captures Murata’s character design well, especially in her large, around eyes. She wears a confident-looking smile as well as subtle blushes on her cheeks. 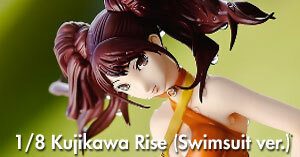 While not extremely expressive, the face of this figure is still pleasant to behold. 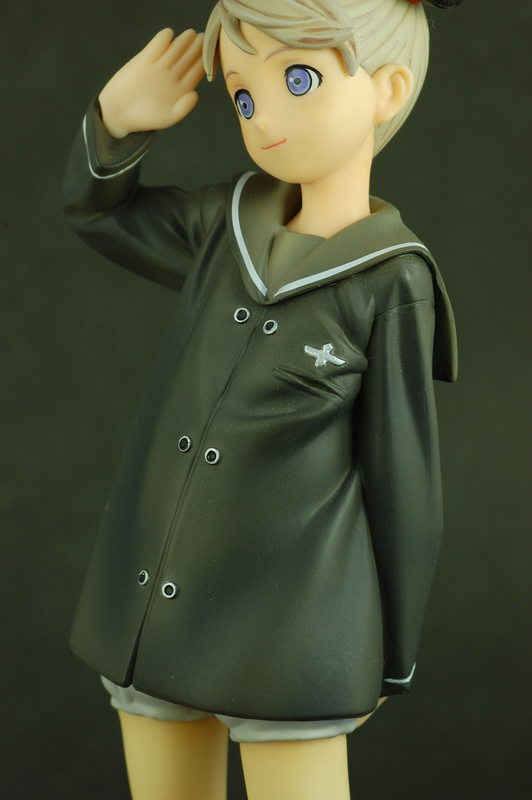 The sailor uniform I was so crazy about is treated with justice by Alter. 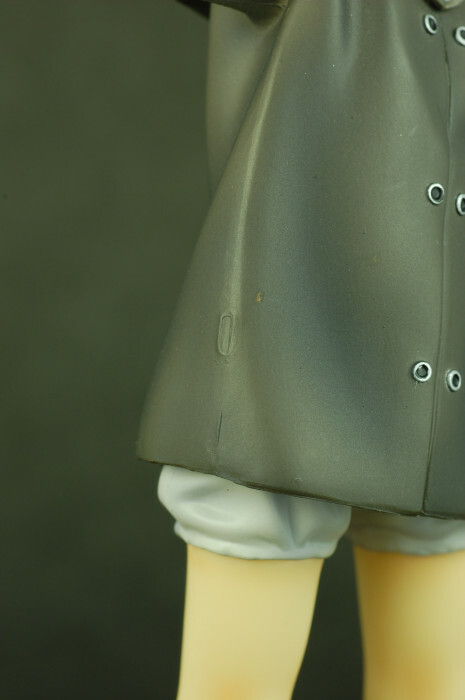 The small metal buttons on her shirt are cleanly painted as well as the emblem. Both the collar and the body of the shirt are painted with multiple tones, once again giving off the sense of depth. Unfortunately, notable injection marks appear on both sides of the body, most noticeably on her right side. Accompanying them are mould lines that run vertically. These marks bother me more so than usual because they undermine the smooth look achieved by the excellent paint application on the shirt, and I think that is a real shame. 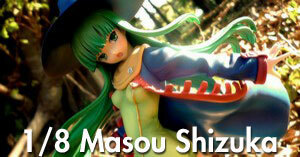 On the other hand, this figure was released in 2005, therefore some leeway should be given for its age. I’m no anatomy student, but Alvis’ legs seem to be sculpted with anatomical correctness. Slightly darker tones are applied to the right places, which prevents the legs from looking dull and flat. However, the Legs appear to be significantly lighter in colour when compared to the face. They are also a lot glossier, which I don’t really like (unless the character is supposed to look sweaty). Like the shirt, Alvis’ boots are also multi-toned in colour. 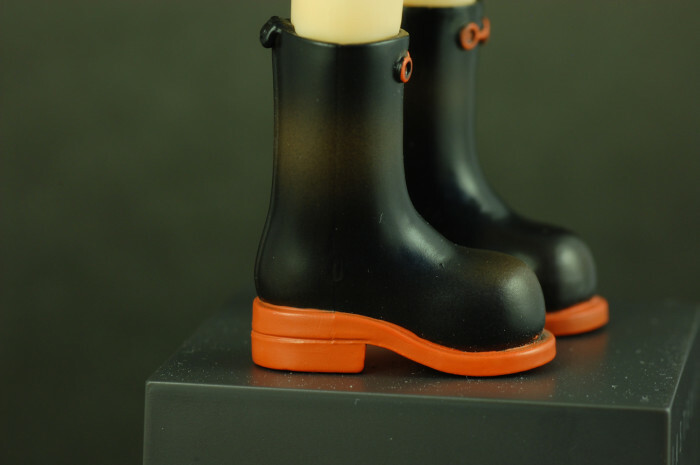 The unique orange-coloured fastener is painted nicely, but the soles of the boots falter slightly upon closer inspection. The orange paint fails to cover the black base colour completely at some parts, but this is a minor issue given its location and size. 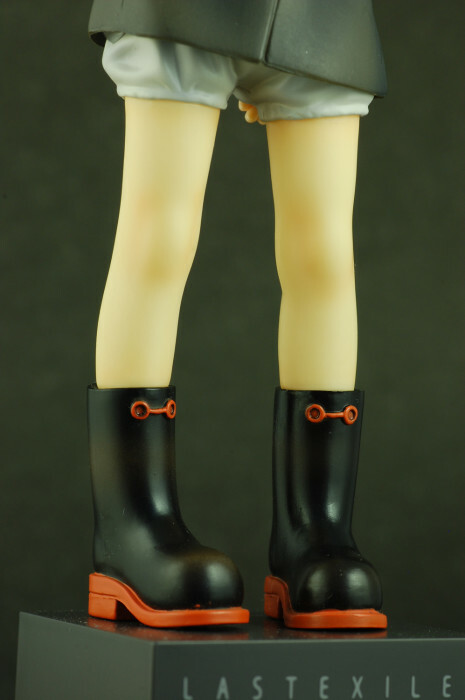 The problem of mould lines and injection marks resurfaces on both her legs and her boots, though they are a lot less distracting than the prominent mark on her shirt as a whole. The glossy finish does make the lines on her legs more visible, though. 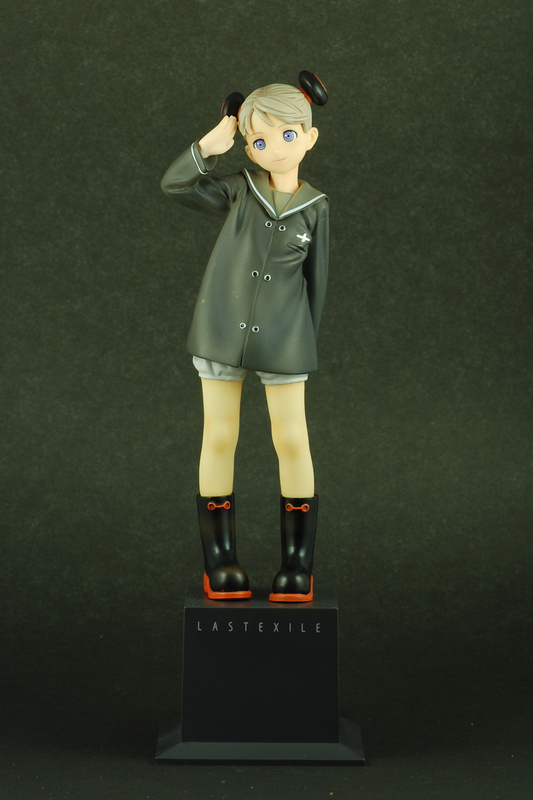 There’s nothing much to say about the display base other than the fact that it’s hollow and has the words “Last Exile” printed on it. It holds the figure via three pegs (two in her right foot, one in her left). The figure stands perfectly well without the aid of the stand. Alter’s 1/8 scale Alvis E. Hamilton is… nice, for a lack of a better word. 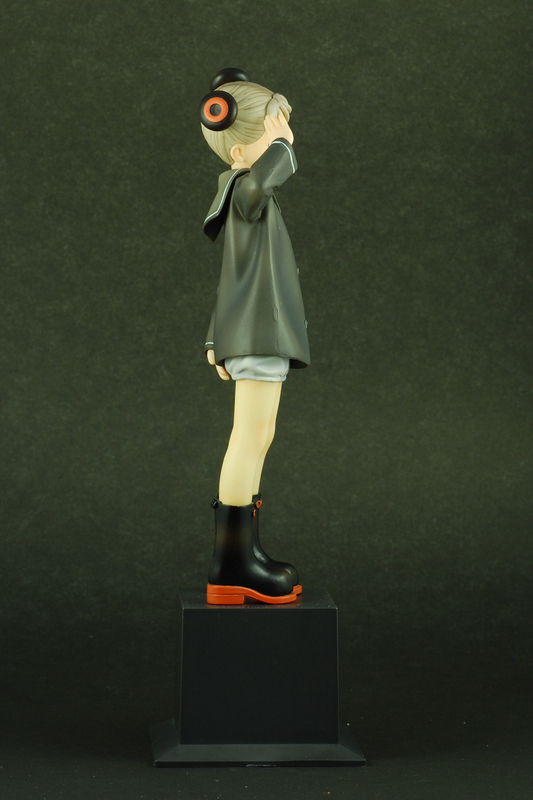 It possesses a simple charm that is amplified by one’s opinion of Range Murata’s design of her clothing. The mould marks are unfortunate, but they are nothing to weep over. Despite being almost five years old at the time of this review, one is still able to procure one of these figures at reasonable prices online. 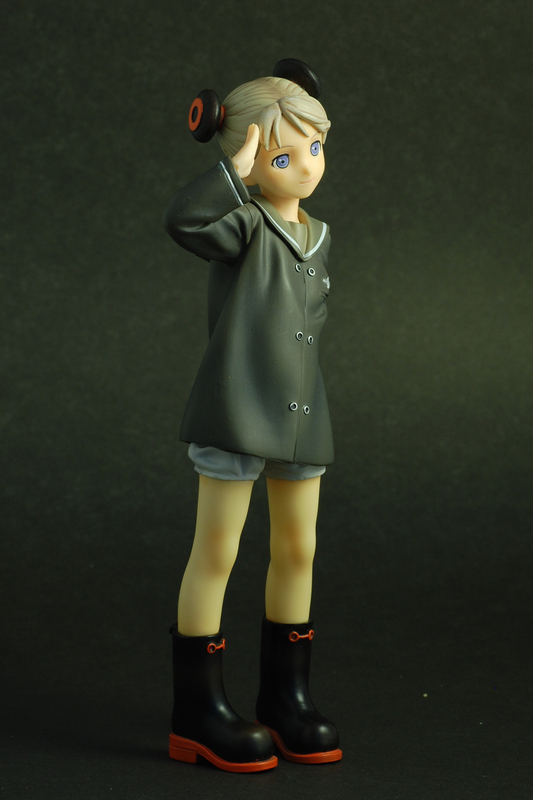 If you are a fan of Range Murata’s designs, I’d say “go for it.” Otherwise, it’s hard to find any really compelling reasons to recommend this figure over the rest of the pack.